Do you and your partner desire an experience that is more intensive than traditional weekly couples therapy? Your schedule doesn’t allow time to make room for weekly therapy appointments. We are all slammed with commitments and schedules that sometimes make it difficult to carve out time to immerse into our most important relationship. Perhaps you are just excited to dive into couples work and are longing to create an intentional space for you and your partner without any of life’s interruptions. What a beautiful gift for your relationship to spend focused time improving communication and creating connection! With couples therapy intensives, we help you achieve, in the moment, new shifts in your relationship that will feel so different than the pattern or cycle that has kept you stuck in conflict or disconnect for so long. 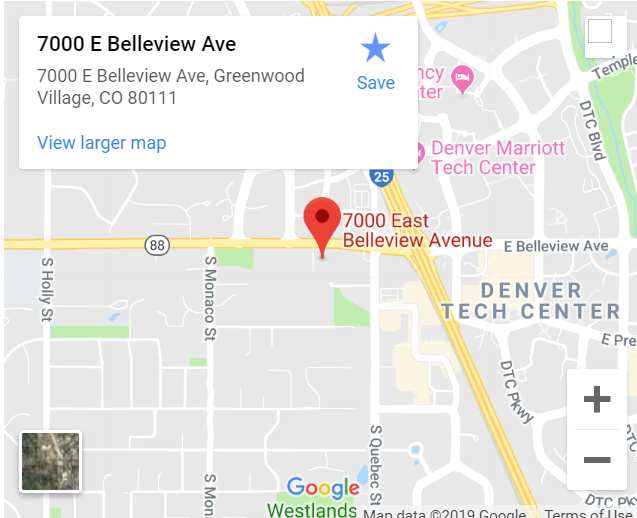 If this feels like an intriguing option for your relationship needs, please call Thrive Family Services at 303-513-8975, X1 to schedule an intensive with Lauren Johnson, LCSW. I am excited to embark on this journey with you! Intensives are scheduled on Saturdays and Sundays based on availability. Read over the information provided and browse the frequently asked questions below to ensure that this feels like a good fit for you and your partner. If the overview provided below feels appropriate for you and your partner then please reach out to us to schedule a phone consultation with Lauren Johnson. Call us at 303-513-8975, X1 or contact us for more information – see contact form below. We will find a time together that fits with with all of our schedules and get the intensive booked! Please remember to carefully review our cancellation policy to avoid any unnecessary fees or charges. Electronic paperwork, including a questionnaire, will be sent to each of your emails. Please complete and submit ASAP. Read Hold Me Tight by Dr. Sue Johnson prior to intensive couples experience. This helps accelerate the process and helps ensure that you and your partner get the most out of the experience as possible. Emotionally Focused Couples Therapy is a research-based method of helping couples overcome negative communication patterns, create new ways of interacting, and developing deep and lasting bonds. Read more about Emotionally Focused Therapy (EFT) here! 2.) 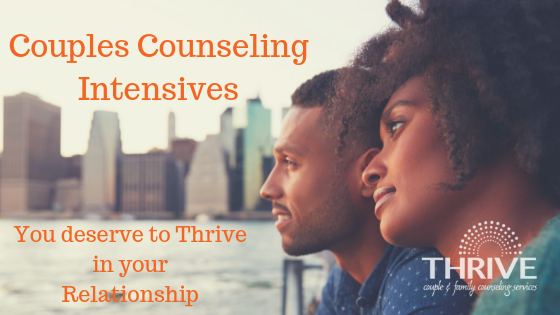 Why choose a couples counseling intensive? You want to try to make a lot of progress in a short amount of time. 3.) What is the fee for a Couples Intensive? The fee for an intensive couples experience is $1638. Additional hours may be added onto the traditional schedule if desired or needed at a rate of $168 per sixty minutes. The fee must be paid in full upon booking the intensive. A Couples Therapy Intensive experience is designed to condense 2-3 months of regular couples therapy sessions into 2 days. You receive the full attention of a highly trained Certified Emotionally Focused Couples Therapist for a private experience with just the two of you. This intensive experience is meant to bring awareness to your everyday relationship dynamics, bring about shifts in how you relate and interact with one another, increase feelings of connection and emotional safety. Fee includes the actual time in session, preparation work by the therapist, between-session review and planning, consultation calls, and collaboration with the ongoing couples therapist. How often do any of us really take the needed time to devote to our most important relationship? What a beautiful gift to create an intentional 2 day space for you and your partner to re-connect and bring about lasting change in your relationship! Don’t wait until it is too late, your relationship deserves to THRIVE. 4.) Is this covered by insurance? Couple intensives at Thrive Family Services are fee-for-service. While receipts can be provided upon request, it is important to understand that insurance reimbursement will not be likely as I will be considered out of network with any insurance providers. 5.) What is the schedule? Introducing EFT concepts, beginning to understand the cycle or negative pattern that is interrupting feelings of connection. Starting to explore underlying emotions and needs that are often left unnoticed or unattended. Exploring emotional experience you are currently having within your relationship and obtaining past relational history. Partner 2, please bring something to read or write to help keep you relaxed and connected to the process. It is best to avoid checking in with work or social media. You will have the opportunity to eat at one of the local restaurants and explore the Greenwood Village neighborhood. We will use our understanding of the cycle to navigate current relationship struggles and develop an alternate way of interaction in order to feel more secure with your partner. We will continue to process your current relationship struggle using cycle framework and attachment focus. We will review relational goals and consolidate session progress and accomplishments. We will check in on your intensive experience, review your progress and process your attachment journey thus far, while continuing to hone your growing edges. We will continue to process your attachment cycle and work to increase your comfortability with vulnerable communication in order to deepen your connection. We will continue to expand your understanding and hone your ability to disrupt your negative attachment cycle and connect on a deeper more intimate level. We will consolidate and review all that you have explored and accomplished during our intensive as a couple. It is recommended that you take the rest of the afternoon to relax together. Your body and emotions just went through a lot. It makes sense to be tired and in need of some TLC. Go for a walk together, out to coffee, get a massage, snuggle on the couch … Take this time to really feel the amazing work you both have done. Feel that wonderful connection, allow yourselves to linger in this place without re-engaging into work or the realities of life for a little while longer. 6.) Will we still need to engage in couples counseling after the intensive? It is very important to have a plan in place to initiate or continue with an EFT couples therapist after the intensive. This is meant to be a boost for your relationship needs, but more ongoing contact with a couples therapist will be needed to ensure lasting results. The length of the needed couples therapy after an intensive varies by couple and circumstance. I will collaborate with your couples therapist after the intensive to ensure a smooth transition and that all relevant information/insights are passed on with careful consideration. Collaboration requires the couple’s written consent. 7.) Are we a good fit for an intensive experience? 8.) Who is our therapist? 9.) Where are you located? 10.) What are some tips to make this experience most impactful? Allow yourself to disengage as much as possible from work and other everyday realities during these two days – make this a Relationship Retreat! Remember to give you and your partner grace throughout the process – this is new and can be really difficult. You both are coming in because you want something better – you are trying, that is an amazing first step. Let me know how you are feeling with the process – I want to ensure that it is a meaningful and safe experience for you both. It is truly my honor to hold both of your hearts with love and care during this experience. Yes, we are interested in giving each other our full attention for two days so our relationship can Thrive!